I speak in behalf of no one, but for myself. 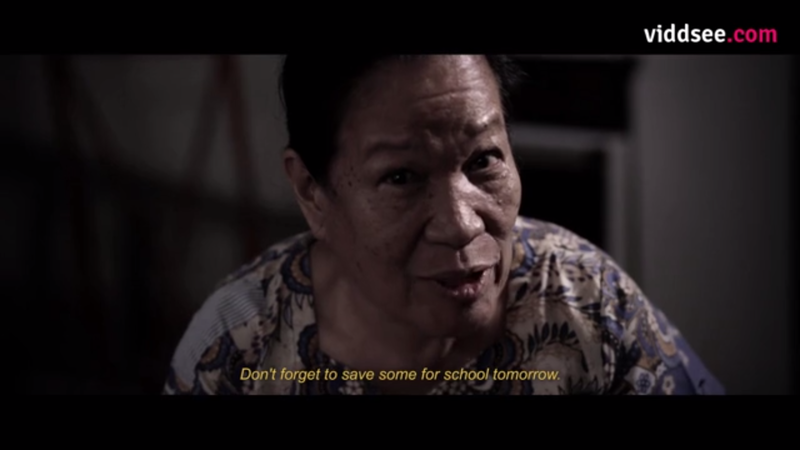 It’s Christmas time, and a grandmother spends a quiet afternoon tending to the family chores. But the arrival of an unexpected visitor brings with her some deadly consequences. While I was scrolling down my Facebook news feed, a picture of an old woman with a gun caught my attention. A thriller short for this Christmas season. Wow. I clicked it and my oh my, did it leave me in awe. A short that tackles with death, human nature, love, revenge, parenting and family ALL AT THE SAME TIME. At the beginning of the video I thought this was a low-budget film with cheap jump scares and an ending I probably won’t like. However, as soon as I see the inmaginative storyline, man, was I hooked. There were a few holes and some points that wasn’t justified but those are no biggies. Like how did the family know that Jessica was inside the house and the reason why lola was keeping the parents. But if you’re not an OC viewer such as myself, you wouldn’t mind those things at all. The lighting and sound mixing is perfect. The special effects are not the best but above average, still believable. As for the cinematography, I appreciate their effort their attempt to make it pretty but they can do better. As I said earlier, the imaginative storyline was executed properly. I just wish that the film was longer because even though a lot has already happened, I CRAVED FOR MORE ACTION. I think it’ll be more jam-packed if the first two dudes wasn’t… huehuehue. Though a little bit predictable, I really loved the ending and it’s perfect for the film. I wanted no ending other the one I got. All in all, I give this film 4.5 stars! Almost perfect, but not quite. I hope to see more of Mr. Kevin Ang’s film in the future. PHILIPPINES!! WE NEED MORE QUALITY CONTENT LIKE THIS!!! !